I have a Sony Xperia XA1, running Android 8.0.0. When my phone is locked, the screen is black. If I receive some notification, the screen "wakes" to display the notification. I am wondering if there is some way to disable this. 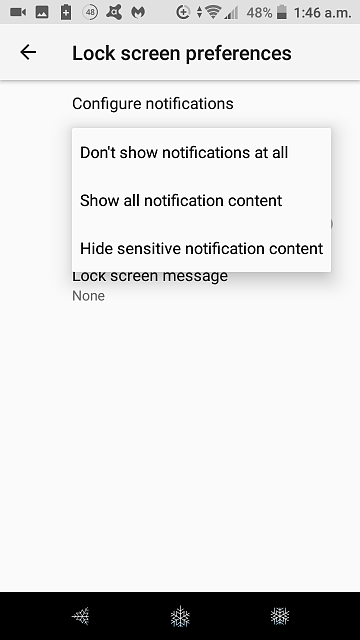 that I can choose not to show any notifications at all, but that's not exactly what I'm looking for. 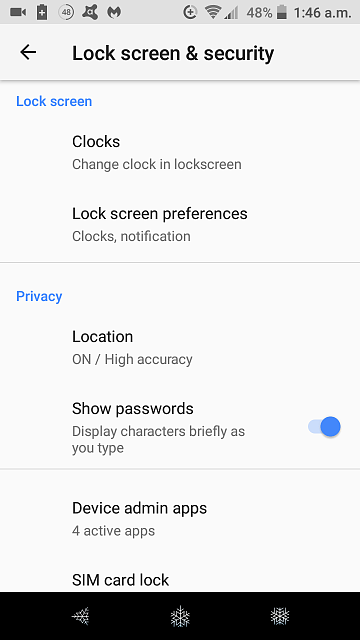 When the screen is black, and I press the power button, the screen "wakes" to a point where the clock is displayed as well as any not-yet-dismissed notifications. I like this feature. I like to be able to quickly press the power button to see notifications. I'd simply like to disallow new notifications from independently "waking" the screen from its plain black state. but there is no "Advanced" option, and I don't see anything about ambient display settings. 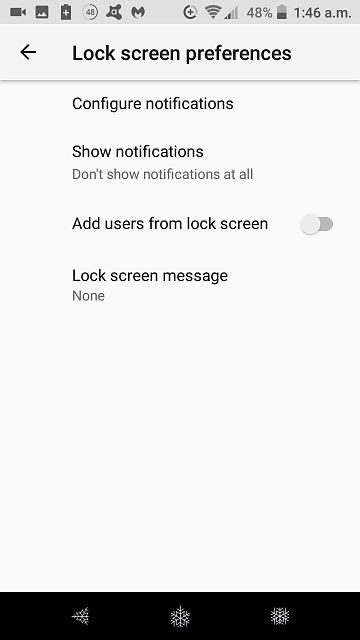 Please see attached screenshots to disable all notifications from the lock screen. I don't get any notifications on my lockscreen and my phone light stays off. Also, if you just don't want notification lights, shut thru App's & Notifications, All Apps, then by individual App open and tap on App Notifications to shut off notification light per individual App. How do I stop underlining while txting on my phone please? why did samsung music separate an album i synced to my phone?